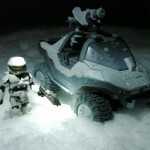 Art Asylum has posted a quick gallery of their upcoming Halo Minimates Arctic Warthog. 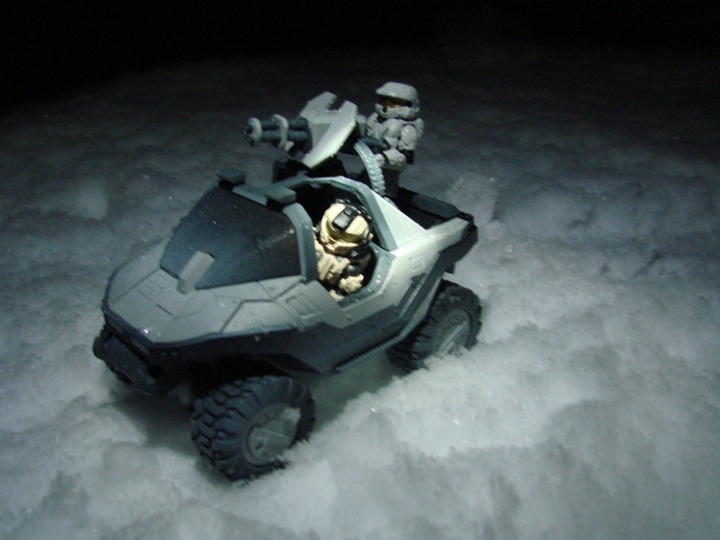 Since Diamond Select Toys and Art Asylum are based in the American Northeast, we’ve been waiting for an opportunity to play with the Halo Minimates Arctic Warthog in the snow since it came out this past summer. Luckily (unluckily?) a freak blizzard blanketed the region just before Halloween this year, and we took it as a sign to get the A-‘Hog out in its intended environment. 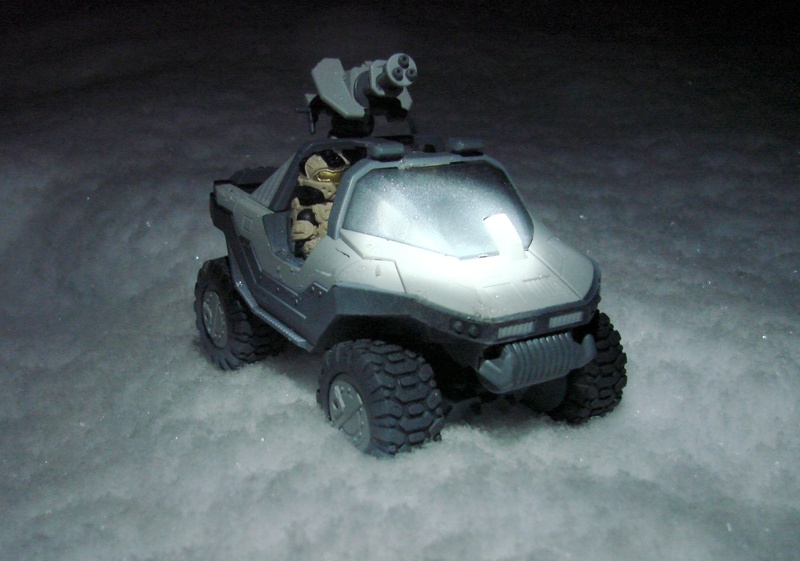 Each Arctic Warthog comes with a 2-inch white Spartan figure, and they’re available now at specialty stores, comic shops and many online retailers. Click the headline of the story for the gallery. 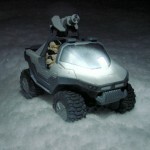 That Warthog is damn cute and kickass at the same time! 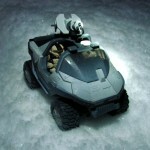 I usually prefer the Gauss cannoned Warthogs, but the Arctic hog looks pretty cool. 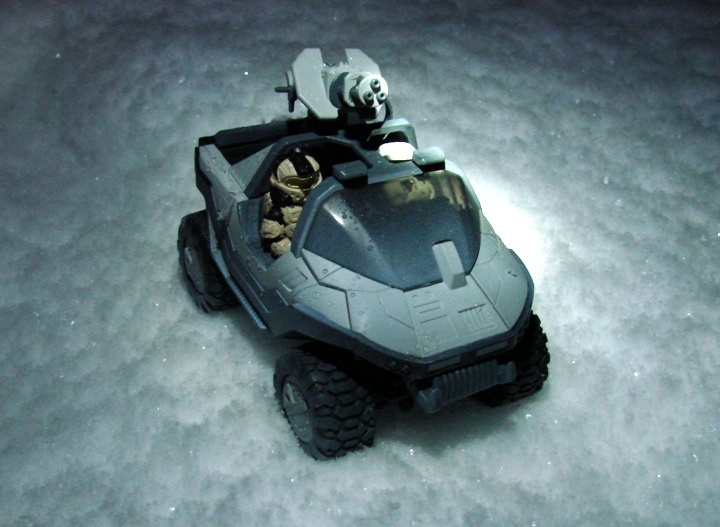 I'm not really interested in the Spartan with it, but I might track down this hog and get it. 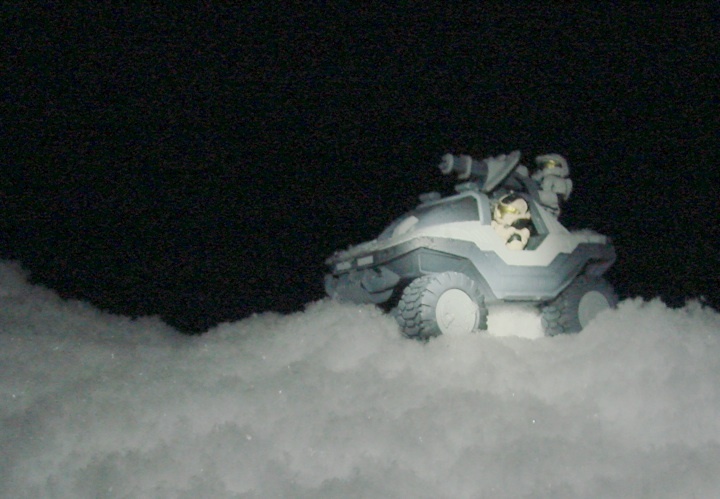 Would be fun to take some photos of it once the snow hits (much like these photos). 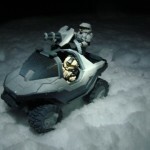 Are these Minimate hogs worth while? I've never handled anything from Minimate, so I'm not sure what to expect from this. Think of larger lego people but with more articulation, 100x better paint/faces and a better likeness to the subjet matter then lego. 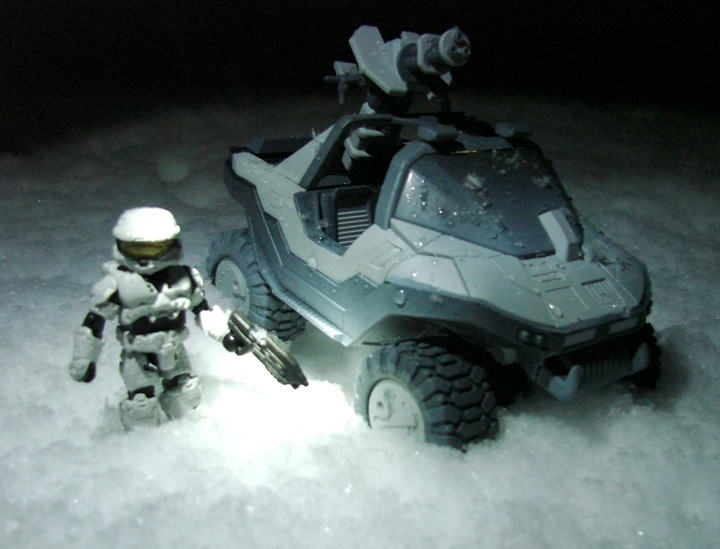 Cool, actually sort of makes me interested in the Spartan now, lol. I haven't seen this figure in the wild, not much of the retail outlets around me carry them except the odd comic shop. They're kinda like their own class, like lego but not lego, not big but not 2 small, they're like twice the size of a lego figure, but smaller then MU figures. 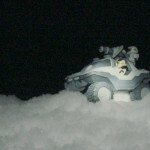 I'd say try to find a youtube video review on them to get a better perspective, as there are other vehicles, such as Kit from Nightrider, ghosbusters, back to the future etc. and you may want to just pick up a small 2pack of the figures as they're usually fairly cheap before you commit more $$ into the set. plus they have figures for marvel,dc, movies,games etc.